If you would like your child to attend Eden, a form can be collected from the main office and can be handed back once filled in. Your child will then be placed on the waiting list until the term after their second birthday when they would qualify for a place. A letter would be sent to your home address. When the child comes for their first visit to Eden a practitioner will sit with the parent to fill out all necessary forms. Among these form will be a communication passport which we use to find out all the important information about each induvial child. 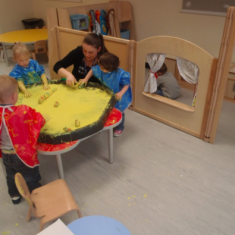 – Spare clothes to make sure children can go home dry after water/messy play. – Nappies and baby wipes if your child is still in nappies or lots of spare clothes for potty training. 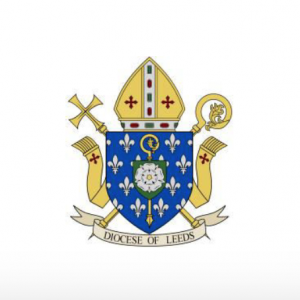 – Wellies for outdoor play and a suitable coat for the weather. 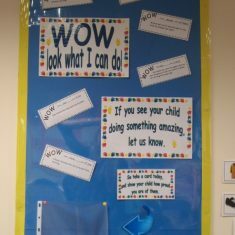 Any time you wish to discuss anything concerning your child feel free to do so with any staff in Eden. 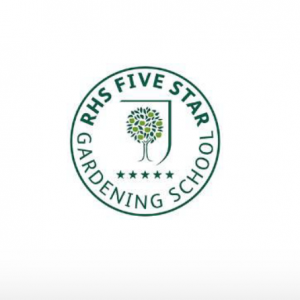 We will always try and talk to you straight away, or arrange a meeting which will be convenient for everybody. 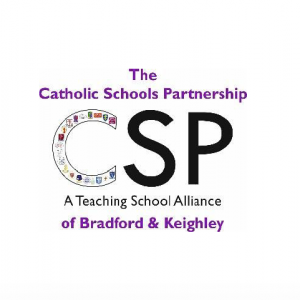 Each child has a key person, who will focus on your child’s observations and progress throughout Eden, however you can discuss your child with any member of staff. 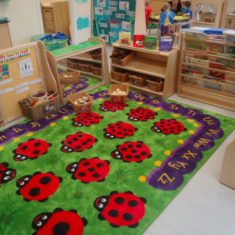 Our aim in Eden is provide a safe and stimulating environment for the children to learn through play. 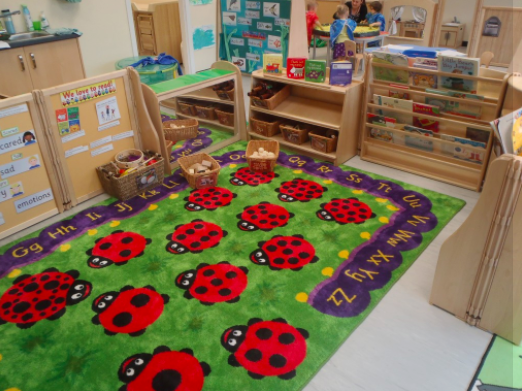 We observe the children’s individual interests and extend them to support their development further. 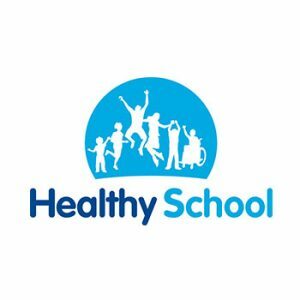 Their learning journey books are always available if a parent/carer would like to see their child’s progress. 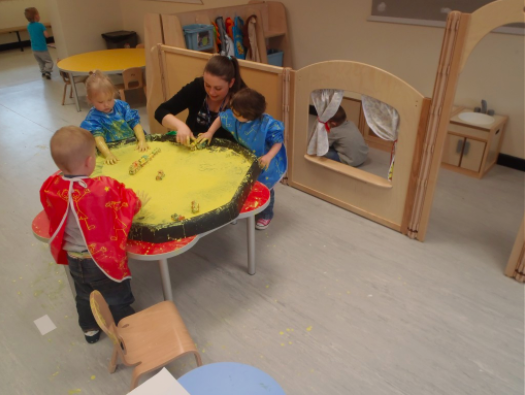 As Eden practitioners we aim to give your child the best possible experiences. We believe that they will progress in their development and most of all……have fun! 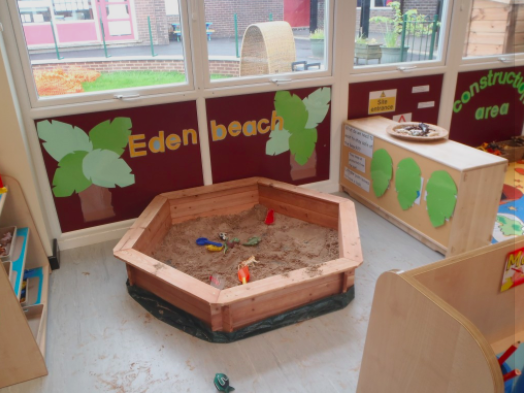 At Eden we learn through our play. 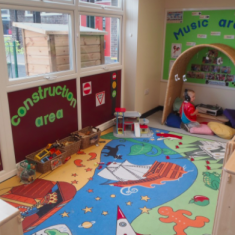 Take a look at some of the areas we play and learn in. 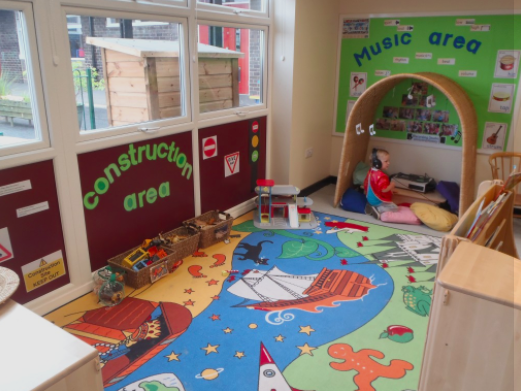 At Eden we like to keep you involved in your child’s learning. In the cloakroom you can find out what we are doing each day. 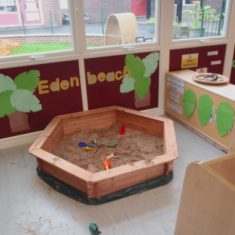 We also have stay and play days when you can join your child at Eden to play and learning together. It is not just the learning at Eden that we value. 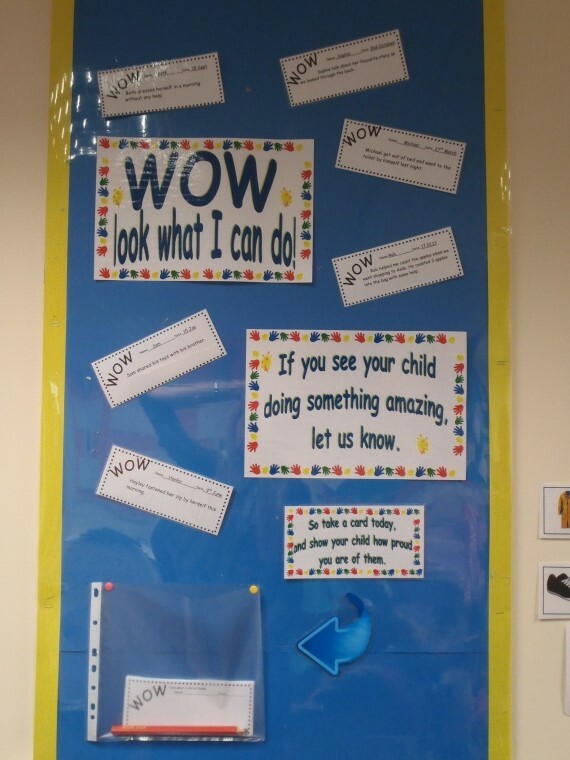 If your child does anything amazing at home write it on a WOW card and we can add it to their learning journey book. You are welcome to look at your child’s book at any time. Find it in your child’s key worker box.